Not since the discontinuation of the iPhone 4s has Apple sold a handset with an all-glass back, but that's rumored to change this year with the flagship "iPhone 8." 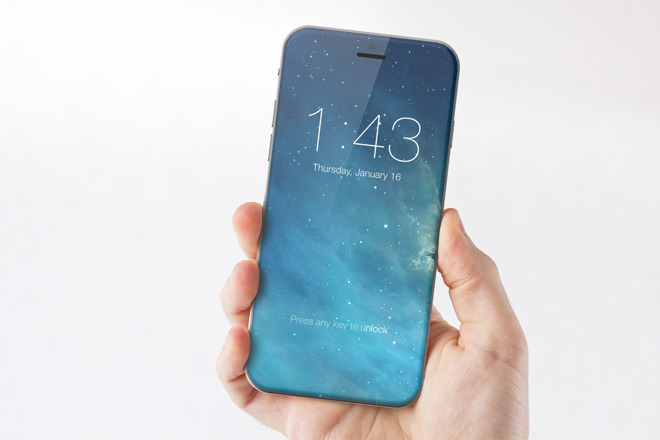 In the years between those two models, advances in glass production technology have made it so an all-glass "iPhone 8" could be more robust than you might assume. 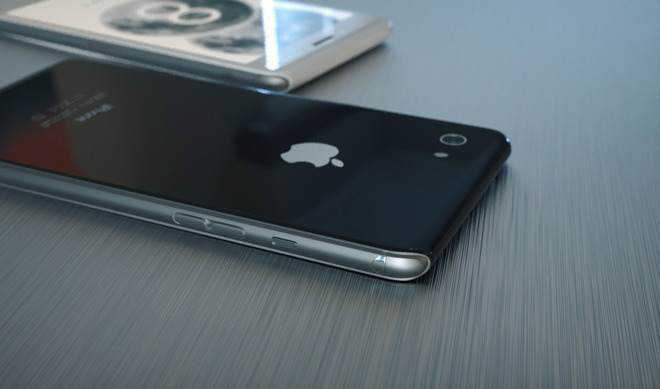 Glass 'iPhone 8' concept by Steel Drake. The iPhone 4s launched in October of 2011. If the redesigned OLED "iPhone 8" is announced this September, as is expected, it will have been nearly six full years between the two. Why switch back to glass? There are a number of potential reasons including an attractive glossy appearance, hand feel, and scratch resistance compared to some metals. Consider that last year, Apple attempted to emulate the glossiness of the iPhone 4s with a new jet black aluminum iPhone 7, but the handset's materials make it vulnerable to scratching. In fact, Apple's own website cautions that the high-gloss finish of the device "may show fine micro-abrasions with use." With glass, such scratches from regular daily use are not only less likely, but they're also less visible. In addition, glass is much easier to mold than metal. It also boasts properties that facilitate thin-and-light form factors, allowing for a truly unique look and thin chassis that may not be possible with metals. Of course, switching to a glossy glass back is not without its consequences, as many iPhone 4 and iPhone 4s owners could tell you. While glass offers unique design and is good at preventing small scratches, it can also be shatter-prone when dropped. Apple has learned a lot over the years in its largely iterative iPhone design process. In particular, KGI Securities analyst Ming-Chi Kuo believes Apple gained valuable knowledge and experience in selling the "glass sandwich" iPhone 4 and iPhone 4s for years. 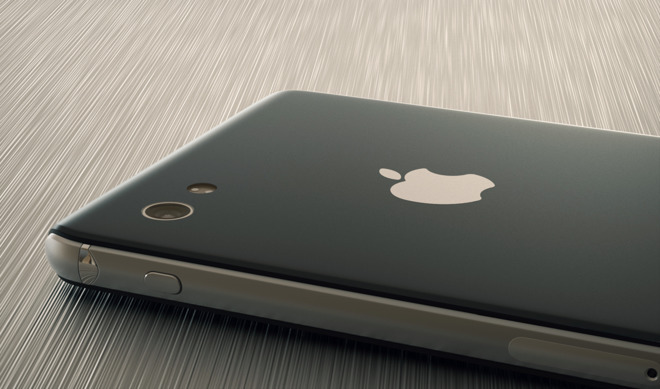 He believes that this year's glass iPhone will prove just as durable as the recent aluminum models. It's unknown whether Apple plans to use an off-the-shelf supplier for "iPhone 8" glass, or if it has cooked up its own in-house solution. But if Apple partners with Gorilla Glass, as it has done in the past, a lot has changed in the years since the iPhone 4s. Last year, Corning unveiled Gorilla Glass 5, a hardened material that survives up to 80 percent of the time when dropped face-down from a height of 1.6 meters, or 5 feet 3 inches, onto rough surfaces. In fact, when the iPhone 4s launched in 2011, Corning was still selling its first-generation Gorilla Glass, which debuted in February of 2008. The second-generation Gorilla Glass 2 wasn't announced until January of 2012, months after the iPhone 4s went on sale. That means there have been four new generations of Gorilla Glass introduced since the iPhone 4s hit the market. Apple has undoubtedly seen the advantages of these glass improvements for the front side of subsequent iPhones, but that same level of durability and shatter resistance would presumably be seen on the back of an all-glass "iPhone 8" as well. For some perspective, the Mohs hardness scale ranges from 1 to 10, with talc having a rating of 1, and diamond being 10. Sapphire crystal is rated at 9, and all glass —including Gorilla Glass —falls between 5 and 7, depending on hundreds of variables introduced accidentally or intentionally during the manufacturing process. Beach sand has several components, but generally peaks at a Mohs hardness of 8.5, explaining why sand in a bag with a phone results in a badly scarred device. Switching to glass isn't just about design, or aesthetics, or even durability improvements it also offers key technical advantages. While Apple did much to remove the "antenna lines" from its handset with last year's iPhone 7 design, they still exist around the perimeter of the device. An all-glass back, however, does not prevent the transmission of radio waves, and no such lines would be necessary. In this sense, glass serves both form and function, allowing for a clean aesthetic with reliable wireless connectivity. Another factor at play in switching back to glass could be the rumored addition of wireless charging, which is easier to accomplish through glass than metal. But glass also conducts heat quickly, which is said to have necessitated some minor internal design changes to allow wireless charging. Specifically, the "iPhone 8" is said to include a thin graphite sheet to help dissipate heat when using a charging pad. Another potential option is sapphire —a material that, at one point, reached near-mythic status in the Apple rumor mill, only to fizzle out with the implosion of supplier GT Advanced Technologies. 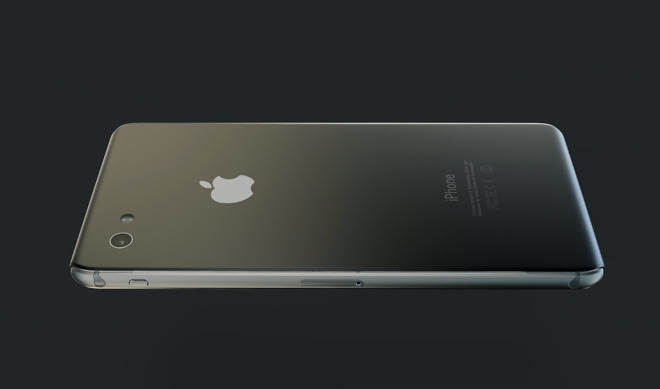 Still, Apple already uses sapphire glass for key components in the iPhone: The rear camera and the Touch ID fingerprint sensor. The hardened nature of sapphire helps to ensure that these crucial parts are not susceptible to scratches, which could render them effectively useless. However, while sapphire is scratch resistant, reports have indicated that the material does not perform as well in drop tests. That would make it a less likely candidate to appear on the "iPhone 8." Regardless, Apple has shown significant interest and investment in sapphire, and utilizes it to protect the heart rate monitor and magnetic charger on the Apple Watch. And higher-end models also use sapphire-crystal glass on the front display as well. If the company has made internal advancements that make sapphire less prone to shattering when dropped, it's another potential candidate that could make this year's iPhone more durable than ever. 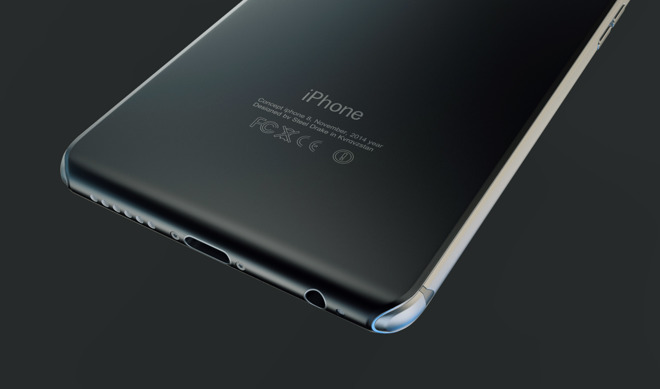 Of course, the "glass sandwich" design requires something to hold it together, and in that department it's rumored that Apple will turn to stainless steel edges. Like sapphire, stainless steel plays an important role in the Apple Watch, encompassing the body of the mid-range wearable model. Once again, as Apple pushes toward the future, we can look to the company's past devices to get a hint of where things are headed. And the stainless steel Apple Watch carries a starting price of $549, or $280 more than the entry-level $269 aluminum Apple Watch. What does that tell us about the "iPhone 8?" Possibly some insight on its price. Rumors have suggested the "iPhone 8" could carry a starting price greater than $1,000. While that might sound outrageous at first blush, it wouldn't be without precedent —especially if the device features a stainless steel chassis and new, scratch- and shatter-resistant glass on both sides. By embracing new, high-end and costly materials, Apple could be setting the stage for a new tier of premium iPhone. If Apple can fulfill the promise of a handset that is durable enough to withstand even the most clumsy of owners, premium materials for a premium price might be well worth it.